Mike's Inc. – From River to Road, We Keep You Moving!Main Shop - Mike's Inc. - From River to Road, We Keep You Moving! 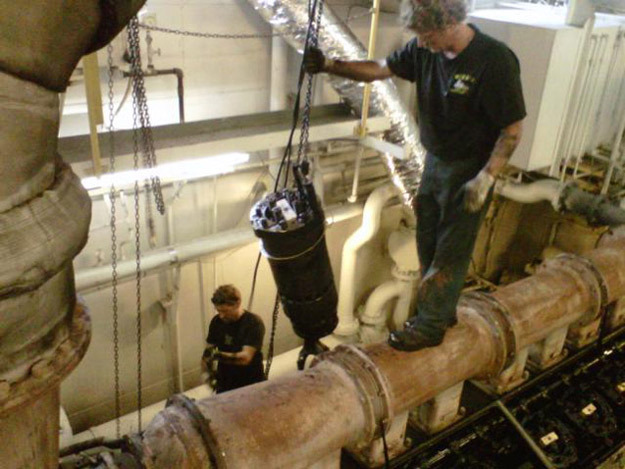 Mike’s provides parts and service for nearly any river-going commercial vessel on any inland waterway in the U.S. Our trained, skilled crews can be on your site quickly and will work around the clock to complete the needed repairs. And when you choose service from Mike’s, you can rely on us to make the repair to get you back on the river and to do the job right the first time. Rebuilt 1- to 20-cylinder engines are one of our specialties. We recondition all makes including Detroit, Cummins, EMD, John Deere, Lugger and more. Every day, our services technicians and machinists recondition anything from carriers to fork/blade rods to complete power assemblies. We carry a full line of EMD reconditioned components to save you money and avoid downtime. Call for a quote. Mike’s can supply new and remanufactured EPA emission-compliant tier 0+ kits for the 645 series EMD engine. We also have marine electronics product and service lines that include installation and repair of searchlights, radar systems, VHF radios, satellite TV systems and related marine navigation equipment/charting software. With a complete EMD and ALCO Rod remanufacturing machine shop, Mike’s offers unit exchange, repair and return, and new equipment sales. We also offer remanufactured carriers and first-run honed liners. Our newly installed CNC machine and 100-ton press allows us to professionally rebuild or unit exchange your damaged EMD turbo charger screens. We also carry reconditioned engine components such as EMD heads, fork rods, oil & water pumps, blade rods, carriers. We also provide top-quality gearbox work, engine line bore, block welding, or rudder and shaft work. When it comes to our Parts Dept., Mike’s has built a reputation over the years for finding difficult-to-locate parts, even those that fall into the antique category. Our customers rely on us to get them what they need and get it fast. Call or email with your parts questions. 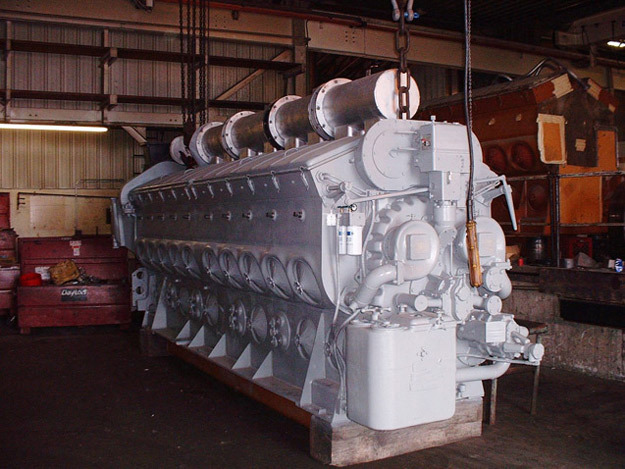 When it’s time to re-power with a new marine diesel engine, look no farther than Mike’s. We have a wide range of engines from all the major manufacturers: John Deere, EMD, Detroit Diesel, Cummins, Caterpillar and more. And when it comes to parts, Mike’s stocks a full inventory from carriers, to cylinder heads, to turbo chargers. Mike’s has what you need and can get it to you quickly, no matter where you are on the river. Viagra is a common remedy used to treat inability to get or keep an erection. When you order medicaments like canadian pharmacy cialis you have to view about healthy man Viagra. It is also known as Sildenafil. Betweentimes folk are looking for drugs to resolve sexual soundness problem. Happily most of problems with sexual health can be treated. Low wish isn’t the same as impotence, but a lot of the same generic cialis online pharmacy that stifle an erection can also dampen your wish. Finally, such kind of dysfunctions can be first sign of severe soundness problems, such as diabetes.